OurEnergyPolicy.org | Is Bioenergy with CCS Critical to the Paris Agreement? The Paris Agreement establishes the objective of “[h]olding the increase in the global average temperature to well below 2°C above pre-industrial levels and to pursue efforts to limit the temperature increase to 1.5°C above pre-industrial levels . . .” However, in the negotiations leading up to Paris, and in its aftermath, it has become increasingly obvious that meeting even the less stringent of these two goals may prove extremely daunting. Policymakers and climate scientists believe the only way to avoid passing critical climatic thresholds, or to address “overshoot” scenarios in which atmospheric concentrations and/or associated temperature increases could temporarily exceed target levels, is to deploy so-called “negative emissions technologies” (NETs) on a large-scale. NETs can facilitate capturing anthropogenically-produced carbon dioxide, through immediate capture at the site of production, direct removal of carbon from the atmosphere, or through engineered enhancement of natural carbon sinks. The vast majority of mitigation scenarios developed in integrated assessment models under which temperatures are kept to 2°C or below (344 of 400 by the IPCC) contemplate extensive deployment of NETs during the course of this century, with an approach called Bioenergy with Carbon Capture and Sequestration (BECCS) cited as the primary option. BECCS is a process by which biomass is converted to heat, electricity, or liquid or gas fuels, coupled with carbon dioxide capture and sequestration. Feedstocks can include energy derived from woody biomass from forests, energy or food crops, agricultural residues and municipal solid waste. While proponents contend that BECCS might effectuate sequestration up to 17 gigatons of carbon dioxide annually by 2100, questions about the technology’s economic viability and risks abound. 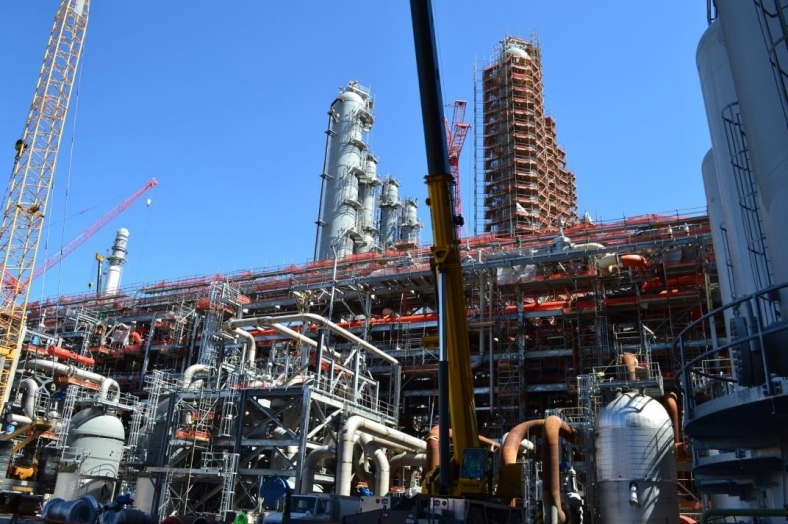 For example, two of the alleged model facilities to demonstrate the promise of CCS, Saskpower’s Boundary Dam Carbon Capture project and Southern Company’s Kemper project have suffered from serious cost overruns and technical problems. Moreover, there are serious questions about whether CCS projects can ever be cost-competitive absent a very high price on carbon. Proponents, on the other hand, argue that learning by doing and economies of scale will ultimately bring down prices and ensure dependability. Many supporters of BECCS argue that the government should substantially increase its support for research, development and deployment of this technology. Do you agree? Should there be greater federal tax policy parity among all carbon-mitigating technologies? 27 Responses to Is Bioenergy with CCS Critical to the Paris Agreement? BECCS is just one more method that should be researched and applied to reduce CO2 emissions. 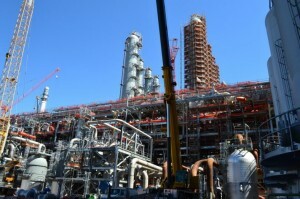 Another is Carbon Capture Utilization. In this the CO2 is transformed into useable – saleable products. It uses an agriculturally produced amine to capture the CO2. It is possible to transform the captured CO2 into a fuel that can also be combusted alongside the coal and the bio mass fuel. The problem is in the Administration. They are so intent at sinking the coal industry that in their eyes the only reasonable approach to this problem is CCS, and we know at Kemper County and the cancellation of a number of other CCS projects why. I am really hoping that the new Trump Administration will open the doors to Clean Coal Technologies as America has over 200 years of this fuel in the ground, and a lot of lives depend on this fuel to support their families. There is more than just removing the CO2. Recovering the water. Utilizing the ash. Waste is not a waste if it has a purpose! Coal ash can have a number of purposes. It can emit less CO2 than combusted natural gas. It would be my hope that whoever takes the helm in the White House next year, as well as the Congress, will support research on negative emissions technologies beyond BECCS, including Direct Air Capture and mineral weathering. It’s important at this point to start focusing our agenda in this context. Despite breezy language on deep decarbonization from the Intergovernmental Panel on Climate Change in 2014 (e.g., “Greater use of low-carbon and no-carbon energy; many of these technologies exist today.”) I continue to come up short in finding credible arguments to support that statement. My answer to your question would be, there’s no way to known the answer without a greatly increased investment (of both money and political capital) in basic science and engineering and policy analysis testing how carbon dioxide could be harvested from the atmosphere at the scale of gigatons a year and sequestered reliably for centuries or longer — this even setting aside how much that would cost. Vaclav Smil’s back-of-envelope calculation some years ago just for smokestack CO2 capture (let alone the huge additional issues posed by BECCS) demonstrated convincingly that it’d take some miraculous global awakening to climate perils to get support for building infrastructure many times greater than all of the pipelines and wells and other devices and structures used now to extract oil from the Earth. Whether one champions BECCS or doubts it, determining if and how it could help blunt global warming remains a grand challenge. Thanks for this response, Andy. I guess one thing that I find frightening is that, to date, there’s no real “Plan B,” i.e. contingency plans for how to achieve net-neutral emissions by the second half of the century should BECCS or other negative emissions technologies prove to be chimeras. Politicians appear to be indulging the fiction because it’s in their best interest to kick the can down the road. It does strike me as sensible to establish a well-funded research program to more thoroughly assess the costs, benefits, and likely viable scale of negative emissions technologies, including ones that have been woefully underfunded, e.g. DAC. There is a simple, proven low cost way to combine bioenergy with carbon capture and storage that no one seems to have mentioned. Agricultural soils world-wide have been depleted of carbon (“organic matter”) by farming practices, particularly during the last century or so of intensive agriculture. There is room for gigatons of carbon in our soils. A dependable, attractive market for the additional biomass produced (sustainably) would be all that is required to jump start this low cost BCCS approach. As for sustainability, we can readily adopt cover-cropping and double-cropping on ag lands and more perennial grasses and trees on non-agricultural lands to produce more biomass per acre, more sustainably, reduce erosion and to fix a lot of carbon in soils. Increased soil organic matter would promote soil fertility, leading to greater farm output, reduce soil nitrogen and phosphorus loss to water bodies (Gulf of Mexico “dead zone”), and make agriculture more resilient against drought and floods. Perhaps this approach is is not fancy or “high tech” enough; but it is cheap to deploy and really does not need any research. We know how to do it and we know the benefits. What is needed is a market for the additional biomass that will be produced. Bioenergy can provide that market. Andy: I don’t understand why you fault the IPCC for saying that low and no carbon energy should be implemented and that most of these technologies are available today. It’s true. In your blog, you seem to put aside a price on carbon and suggest that more R&D is needed. Really? Why would anyone implement low and no carbon energy when there is no economic incentive (or regulatory requirement) to do so? Fossil fuels are actually very expensive but we shift much of the cost to society so that fossil fuel companies can undercut the cleaner (and overall cheaper) alternatives. For example, if CCS from a power plant only costs $1/ton-CO2, why would any power plant operator implement it if they don’t need to? A price on carbon is needed to level the playing field and give low and no carbon energy a chance to compete. A price on carbon will spur massive investment in research, development, and deployment. R&D funding without correcting for the market failure of external fossil fuel costs will not transform our energy system in the time allotted (which is not much). The reality is that the IPCC (and others) have called for emission reductions for the past 3 decades and governments have done nothing… aided by a press that promoted false balance on the issue. Now we find ourselves in the situation where it no longer possible to stay bellow +2ºC warming without negative emissions. Governments asked the IPCC to present a plan to stay below +2º and they obliged… being honest that it will require negative emissions. The good news is that emissions reductions and negative emissions is not as impossible as people think. One of our portfolio companies, Inventys Thermal Technologies, has a method to capture CO2 from coal and natural gas plants for about $20/ton… far lower than existing technologies. The Inventys system can easily be mated to a biomass power plant and provide negative emissions (BECCS). Other companies, such as Carbon Engineering, are working on Direct Air Capture (DAC) of CO2 from the atmosphere. Will it be expensive? Sure. But it will be a small fraction of the cost of not implementing these solutions. Note that the status quo is not one of the options available to us. A rising fee on the CO2 content of fossil fuels (rebated for certified sequestration) would fund CCS, BECCS, and DAC and many other forms of clean energy and efficiency. At $50/ton-CO2, BECCS would be a money-maker and it would be cheaper for fossil fuel power plant operators to implement CCS rather than pay the $50 fee. At $100/ton, DAC becomes feasible. If all of the net carbon fee collected is distributed to every legal resident on an equal basis, the policy would create 2.8 million jobs, grow GDP by $1.4 trillion, and cut CO2 emissions by over half (leaving less negative emissions work to do). There is no one size fits all for negative emissions technologies and it would be remiss to put all the eggs in one basket. BECCS wins because it provides a centralized energy source, it is the most understood of technological approaches out there and thus cost assumptions are relatively simple. With current projects using BECCS as the sole reference point for negative emissions and relying on BECCS makes a number of large assumptions. However, the vast land areas required may not be close to the site where the biomass is ultimately burned, adding to the LCA. Planting carbon negative biomass may also cause the outgassing of carbon that was already stored in biomass. Storage sites nearby might prove insufficient, or unattainable due to public concerns. Biomass may be added to the poorest areas of the world that might be hardest hit by climate change. Conversely, Direct Air Capture (DAC) technologies have now demonstrated on lab and pilot scale to operate between 1,000 and 10,000 times more effectively than a tree at removing CO2. This requires significantly less land and has the advantage of operating remotely and scaling based on need for additional negative emissions. Ironically, the fossil fuel industry has lambasted direct air capture as an approach that is trying to remove a molecule that in some cases is 300 times more dilute from a coal emission. Yet BECCS shows that biomass has no problem removing CO2 at ambient concentrations. So why BECCS > DAC? I would argue that BECCS is a much more palatable child for the coal industry because coal an be intermixed with pulverized biomass and is a way to continue to burn coal and promise to do something in the future without significant changes needed to the infrastructure. Yet if it doesn’t work, there is no backstop at scale that can offset historic, dispersed, fugitive, or otherwise uncooperative centralized emissions. Negative emission technologies that do not require the compliance of the emitter can prove significantly more effective as an uncontroversial technological fix. If an operator of an air capture facility who is permanently sequestering the CO2 can show that emissions that were not captured at a centralized emission are now offset, this becomes the motivation to reduce emissions where possible and capture where it can be. First, let’s use a better term than anthropogenically-produced carbon dioxide. We are concerned about fossil CO2 and biogenic CO2 is another matter. Biogenic CO2 has a recycle period of one, twelve, thirty-five years depending on how you use biomass and what it is. This of course compares to eons for fossil CO2. If we need to stop adding CO2 to the atmosphere in 35 or 40 years, just hiding fossil CO2 in the ground or in relatively low or no value materials is a doubtful effort. When we rely on fossil energy, it will take energy to get rid of that CO2. I think the best way to address this energy issue is to use H2 from curtailed intermittent renewable electricity. The best way to store H2 is to attach it to carbon and the best way to get rid of CO2 is to make something out of it. We cannot economically afford to treat CO2 as a waste. Gas fermentation using microbes to process CO2 and H2 is a reasonably established process. Research into making more things in this manner is needed. It is an energy efficient, relatively low CAPEX process that has useful products beyond just reducing atmospheric CO2. Producing fuels and chemicals in this manner are now commercial. When fuels are made, they will offset fossil fuels. It is my opinion, this process of CCU is the only approach that has a chance of being economically viable. All good comments here. Andy usefully reminds everyone that things are often easier said than done. I’ll add two points. First, a greater commitment to innovation across the board is warranted. But just throwing more money at the same R&D institutions is not adequate. Tepid economies and the rising bite of entitlements are eating away at discretionary budgets, and most likely will continue to do so. The commitments from Bill Gates and others to increase private investment in innovation will help, but their pockets are not immensely deep either. Second, for reasons Andy has suggested, and which just about everyone really knows, it’s most likely that emissions will not be contained or even reduced to the stringent degree idealized goals like 2C demand. While future climate conditions are unpredictable, climates most likely are going to change in ways that are challenging. So talk about emissions strategy should not distract from the serious needs to enhance resilience and adaptability to volatile environmental conditions. More research and innovation on those problems are also needed, along with more extensive application of solutions that already exist but are too little adopted. The Paris Agreement has been a real impetus for action about Climate Change and fossil fuels, but it is also true that most people understood the agreement was only a good start. What Paris did do was set a marker from which a carbon budget can be derived that will keep enough emissions out of the atmosphere. The agreement paved the way for measurements of our transition away from carbon fuels. The Carbon Tracker Initiative developed a map … “globally, a third of oil reserves, half of natural gas reserves, and more than 80 percent of coal reserves should remain unused between 2010 and 2050 in order to meet the 2-degree target. … In the US only 8 percent of the coal remaining in the U.S. is burnable—and that’s assuming that carbon capture and storage (CCS) becomes widely available by 2025. Without CCS, the U.S. could only burn 5 percent of its coal.” That is only a 3% difference. Climate Change is a cumulative game. The sooner we make the transition to clean fuels the more it matters, so more CCS research looks like it is too little too late for the coal industry. “The U.S. coal industry has lost 76 percent of its value in the last five years. Some financial analysts have concluded that the U.S. coal industry is in terminal decline, with 26 companies going bust in just the last three years.” A similar decline is happening globally so coal exports are not the boom that was expected. Some argue that we must have CCS in order to meet our carbon reduction goals, but many are declaring 100% renewable electricity goals they hope to meet without CCS. Solar power costs have come down by 80 percent. Battery costs are down 70 percent from the beginning of this administration … wind power costs have come down by more than 30 percent. The global clean energy industry has grown from $56 billion in 2004 to more than $300 billion today. Continuing basic research monies is a smart thing to do because there are uses other than generating electricity, or acres and acres used to grow biofuels, that will still require some fossil fuels. Who would not applaud the ability to directly remove of carbon from the atmosphere using an atmospheric vacuum cleaner? Supporting primary research is one thing and relying on tax credits to build industries is another. Once initiated they are hard to remove, as we can see from a 100 year old investment credit created to help build the oil industry that is still on the books. Maybe there is a better way that limits the ongoing problem of continuing yesterday’s incentives. Dan Miller talks about pricing carbon, which so many of us applaud, and which doesn’t have the same problems as tax credits. Besides, it hasn’t been possible to save 70-90% using a tax credit for a long time. Jane: It probably not possible to stay below +2ºC only by deploying renewables. The only IPCC emissions scenario that keeps us below +2ºC (RCP2.6) already assumes rapid decarbonization (that will be a miracle to achieve) but also requires negative emissions through the end of the century. And note that IPCC temperature models do not include (1) the impact of aerosols presently cooling the planet (when all the coals plant are shut down, global temperatures will spike) and (2) the contribution of melting permafrost and other feedbacks that will add +0.5ºC or so by century’s end. On top of that, CO2 levels are already too high. The last time CO2 was at today’s level (400 ppm), sea levels were 75 feet higher. And while everyone wants to meet the +2ºC target, it is becoming clear that +2ºC warming will be catastrophic (though not nearly as catastrophic as +4ºC warming… which could be game over for civilization). The fact is that CO2 lasts for hundreds to thousands of years in the atmosphere, so things don’t get better when we finally get to zero emissions, they just stop getting worse (assuming tipping point feedbacks haven’t kicked in which, unfortunately, is not a safe assumption). The fossil fuel emissions from existing power plants that occur while we are on our way to a carbon-free energy future will add to atmospheric CO2 concentrations that are already too high. Therefore, we need to use all the tools at our disposal to reduce emissions as well as remove excess CO2 from the atmosphere. That means CCS, BECCS and direct air capture will be required… not to promote new fossil fuel power plants, but to reduce emissions from existing power plants and other industrial sources (like cement and steel plants). We need an All Hands on Deck approach to the problem. Thanks for the info on the variety of possibilities … I do understand and said that “Climate Change is a cumulative game. The sooner we make the transition to clean fuels the more it matters, ” That, I guess was the centrality of what I am trying to say. I believe we can move faster than many think, and have been arguing for redirecting investment monies for 5 years, when Credit Suisse surveyed the coal plants and pronounced the majority of them too old and inefficient as well as polluting, to be fixed. Doing that entails finding a way to close industries in this ‘market takes care of itself” world we live in. So, instead of arguing the climate change issue here in VA, I have tried to talk about replacement generation investment, the tax expenditures and offloaded pollution costs that coal has brought us. Here in VA we are now all in for gas so … like the rest of the southern states Virginia is hanging on to old monopoly rules, another block to actually rapidly diminishing grid demand through efficiency and on-site geneeratio,. Several investment banks now say that we can cut grid demand by 50% by 2030. Given that potential … I find it vey frustrting that we still talk about fossil fuels and haven’t yet moved on electric cars in any big way. They too are predicted to be cost effective very soon. So yes, I agree that ‘carbon vacuum cleaners’ would be terrific and am happy to spend research monies in those directions, but deplore the idea that we cannot move a whole heck of a lot faster than we are moving toward clean energy. Post-combustion chemical capture of CO2 is not a realistic option. Quenching (evaporative cooling) of flue gas is necessary to get the temperature down to where amine sorbents can work (about 40C). That would double the already unconscionably huge water consumption of coal plants. Centrifugal capture could mechanically separate CO2 and N2. See US Pat. 7,901,485. CO2 storage underground at the scale required (2b tpy, for coal in the US) would displace an ocean of very salty brine, salting the groundwater and causing earthquakes. CO2 at high pressure would find a way to erupt and kill people. No insurance will cover the risk posed by CO2 lurking underground and cracking the bedrock. Wilmot: While post-combustion chemical capture of CO2 may be problematic, as I mentioned above, there are other approaches being developed that are far more cost-effective, smaller, and energy efficient. According to the DOE and researchers at Stanford, there is plenty of room underground to store CO2 safely. Also, you may have read the NY Times article last month about researchers who injected CO2 underground in Iceland and turned the stream into solid carbonates because of the chemical properties of the injection site. While it is easy to come up with issues that will arise when implementing a new massive system, the current path we are on presents unacceptable consequences. We need to quickly find ways to dramatically reduce emissions and start removing carbon from the atmosphere. Your observation that growing biomass requires a lot of water is true but mostly irrelevant. One of the roles that plants play in ecosystems is water recycle. Nearly all of the water that a plant takes up during growth is recycled to the atmosphere by evapotranspiration. That recycled water will fall again somewhere else as rain or snow. It is not “consumed”, it is recycled. Bioenergy (energy products from plant material) plays a unique role in all practical, proven and low-cost carbon control approaches yet proposed. Under the right conditions bioenergy can be carbon negative–because of the carbon that plants and the associated microbes fix in the root zone during growth, bioenergy can actually take net carbon from the atmosphere and store it in the soil. There is room and need for gigatons of carbon dioxide in our soils world wide. Bruce. Well; that’s not how virtually any hydrologist I’ve talked to views this. It will be small comfort to those ecosystems and peoples in regions such as South Asia that may experience water impoverishment if BECCS is done without care that the water will ultimately be distributed elsewhere. Read Chaturvedi’s analysis in this context. I am not advocating for careless application of bioenergy. 🙂 There are certainly regions where bioenergy does not make any sense, whether for water use or other reasons. But there are very many places where bioenergy makes a lot of sense, including areas where there is a lot of water that needs to be managed. Plants are very good at water management. For example, the disastrous spring flooding in Iowa a few years ago that cost billions of dollars in damages could have been substantially mitigated by greater use of double crops upstream, on Iowa corn lands. So why don’t corn farmers double crop more often? Simple…no market demand for the double crop. A demand for bioenergy derived from the double crop could improve farmer profits while giving us lots of biomass for bioenergy–with attendant greenhouse gas benefits, flood control and reduction of phosphorus and nitrogen in streams and rivers. I have noticed that there is almost an unconscious tendency to discount the potential contributions of bioenergy to our energy and climate problems. But when you look more closely, bioenergy can help meet a lot of other important societal goals. So if I pushed back too hard, I apologize. But we don’t have many realistic options for dealing with climate change and energy security problems simultaneously that don’t require decades of research. We don’t have decades. Bioenergy is one of those options. Thanks for your response, Bruce. However, it’s not entirely clear that double cropping will substantially incentivize biomass production for several reasons beyond the absence of viable climate price signals. First, double cropping often lowers per-crop yields because of the potentially shortened growing time available for each crop, which can reduce the farm’s total annual revenue potential. Second, production costs may increase when adding a second crop, and in some situations, double cropping may be riskier than growing a single crop. For example, double cropping may be more susceptible to moisture and weather variations within the growing season, and therefore, yields might be more variable These barriers to double-cropping adoption may be reinforced by Federal crop insurance or commodity program provisions that exempt double-cropped fields from program participation if farms are located in areas where the chosen double-cropped combinations are not widely accepted as a viable practice by local agricultural experts. Finally, Iowa State researchers conducted double-cropping experiments in 2010 to ascertain if they could bolster biomass for ethanol production. They planted triticale, a relative of wheat, in the fall and harvested it in the spring. Then they planted sorghum in early June and harvested it in mid-September. The study concluded there was a net reduction in biomass from planting single-crop sorghum. I agree with you that these ideas should be explored further, but I’m skeptical. This is complex issue, but to start, sustainable biomass does not need CC&S. If you are continually going to be planting fast growing biomass .. and faster growing biomass sequesters more carbon than combusting older biomass. That said, is sequestering carbon a good end game, or is innovatively utilizing carbon in the global economy make more sense ? Storing carbon makes no sense in that it does not create wealth, just cost, and changes in geology -from platelet shift to earthquakes could release vast amounts of carbon stored. Whereas finding commercial uses of carbon and carbon derivatives is a far better tool that the market and our entrepreneurial system is geared for. Whether it is new materials, road bedding, biochar for agriculture .. these products will make our economies more productive – and yes, research and demonstration is needed. But over time, market pull will expand these markets whereas subsidies will only drive carbon capture and storage. Bioenergy, done sustainable, with sustainable planting will become even a better carbon bet if we develop approaches to utilize the carbon emitted in constructive and productive ways. Scott: While growing biomass is a good thing, it doesn’t remove fossil carbon from the biosphere. That excess carbon can (and will) find its ways back to the atmosphere when the trees die from bark beetle, drought, wild fire, or just normal death. The carbon needs to be put in stable form (biochar, carbonates, etc.) or put back underground where it came from. While CCS doesn’t directly create wealth, it protects the wealth we have. Emitting CO2 to the atmosphere is an extremely expensive thing to do. Using CCS to remove that carbon is much more cost effective than releasing it to the atmosphere. A price on carbon will help correct the market failure that causes companies to make the wrong choice for society. Excluding climate impacts, the health costs and other environmental impacts of coal power exceeds the value of the electricity produced, so coal power has negative social value. When you throw in climate impacts, burning coal is the most expensive form of energy, followed by natural gas and oil. These “external” costs are real and must be paid by everyone through higher taxes, property and health insurance, food prices, uninsured losses, etc. The future costs of losing Southern Florida and many coastal cities is hard to quantify but it is staggering. While the costs of CCS, BECCS, DAC, etc. may be high, they are a bargain compared to the alternative. Scott. I agree with us that “utilization” instead of storage on the “CCS” side of the equation could be salutary. One major issue is that the size of this market is far from clear. That certainly doesn’t militate against engaging in research, as some are currently, to scope out this market, but some believe it’s extremely limited given costs and overall demand. One of my primary concerns is that the most likely viable method to help finance CCS is enhanced oil recovery, and that poses the threat of carbon lock-in for as far as the eye can see. Wil: You are correct that the current size of the market is unclear. But that is not a point against the need for carbon capture. Instead it points out a failure of policy. The current market for waste disposal is quite large, but that is because it is considered illegal to dump your garbage in your neighbor’s yard or on the side of the road. If there were no waste disposal policies, the market for waste disposal services would be small, but the overall cost to society (i.e., higher health costs, environmental degradation, lower real state values, etc.) would be very high and would greatly exceed the “cost” of waste disposal. Likewise, the societal costs of allowing companies to dump greenhouse gases into the atmosphere are enormous, far higher than the cost of GHG disposal. This market failure is due to lack of policies that require GHG polluters to pay for the damage they cause, not the low value of GHG disposal services. The overall economy suffers (and will suffer even more in the future) because we subject society to the far higher costs of GHG pollution rather than requiring GHG disposal. I understand your skepticism about double-cropping, but I think the focus of your skepticism is misplaced. The problem with double-cropping is not that it won’t work technically. It clearly will work in many locations. The paper by Feyereisn et al systematically removes land from consideration for double cropping where they think double crops should not be grown (see Figure 1 in doi.10.2134/agronj2012.2082) and still comes up with approximately 150 million tons per year of additional biomass (winter rye in this case) that could quite easily be grown as double crop…if there was a market for the rye grass. It is the market that is the barrier, not technical nor agronomic feasibility, and that market barrier is two fold. First, no real demand for bioenergy. Second, government programs that incentivize corn, soy and wheat production…and not much else. So you are right…there is a risk associated with double-cropping that is not present with corn, soy or wheat production…but it is much more a policy risk, not really a technical risk. Without a market for the double crop, without income for it, how can the farmer possibly balance his/her options and choose what level of double-cropping makes sense? This site is intended to explore policy issues. As far as I am concerned, there is a clear need to reform federal farm policy to incentivize better agronomic practices, including double-cropping. Providing markets for bioenergy produced from double-crops is one really good idea that would provide sustainable energy and low cost carbon capture. There is no question we need to recycle carbon — the question is do we store it and hope it doesn’t escape, or we recycle carbon into biochars, road bedding, and new materials that grow our economy while protecting our climate. I vote for recycling than storing …. more practical more geographically dispersed, and can happen faster than giant science experiments. Great article.. NOAA/NASA has a award winning film out called the Dynamic Earth. In it they talk about ocean currents and the Gulfstream. https://www.youtube.com/watch?v=0eFiCob-zvc . They state that the Gulfstream has enough heat energy in it to power the entire industrialized world over 100x. There is technology out there right now that captures the heat energy of the ocean and turn it directly into electrical power. It is called Ocean Thermal Energy Conversion or OTEC for short. Maki Industries located in Hawaii does this now. http://www.makai.com/makai-news/2015_08_29_makai_connects_otec/ . I have an underwater suspension tunnel idea that anchors such OTEC devices directly in the gulfstream opposing its 6 mph flow to the North. By doing this you can also add a kinetic turbine to the device and combine 2 technologies to make a even more efficient power plant. I call it Ocean Mechanical Thermal Energy Conversion or OMTEC for short. The devices use the heat energy at the surface to boil anhydrous ammonia with a heat exchanger to spin a turbine connected to a generator to make electrical power and it uses cold deep water to condense it back to a liquid with another heat exchanger to complete the cycle over and over. A nice video about it here: https://www.youtube.com/watch?v=LJV4d4XtHuo . The added kinetic turbine could power ALL the Auxiliary power that the OTEC unit uses and sell the excess power back to the grid. The heat rate for the OTEC units would be lowered thus making them more efficient then they are today… So it is wise to use both the heat energy and kinetic energy in the Gulfstream to make electrical power.. All we need to do is convert about 5% of these 2 energy sources in the Gulfstream to power the entire industrialized world. These devices set in the Gulfstream can power numerous Carbon Capture techniques of which can turn the Co2 directly into stone within 2 years. I read an article about that awhile back. Other things the Ocean Tunnels can do while out there is create marine brightening by compressing air to make microbubbles at the ocean surface. You can put additives in the compressed air to make the bubbles last 2 to 3 weeks so a very large area of the ocean surface is covered before they pop. An area of 70,000 square miles can be covered in 21 days to increase surface Albedo. You can also make virtually a unlimited supply of Hydrogen with the electrical power they make with hydrolyzers. This hydrogen can be used to power ships, cars,trains and many other things I have listed. I have a group on FB called the Ocean Tunnel Group that discusses many things they can do. Feel free to join if interested here. https://www.facebook.com/groups/1548937018758434/ . My goal right now is to get the idea computer modeled at a University..